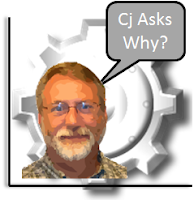 Gary Anglin in his book, Instructional Technology, Past, Present, and Future, shares a paper by Andrews and Goodson(1) on a Comparative Analysis of Models of Instruction Design. The evaluation started with 60 models of instructional design (read systematic approaches to training), established 14 criteria of common tasks and whittled the models down to 40 for comparison. I share this with you because of struggles that have been shared with me about how to choose a learning method or strategy and with hopes to change your paradigm in case your only exposure to designing instruction has been the illusive “ADDIE model” and the Department of Energy’s Training Program Handbook, A Systematic Approach to Training (DOE-HDBK-1078-94). There are a lot to choose from. As a model of instructional design, the DOE version offers some of the most detailed and systematic process to conduct an analysis and how to determine what to train on, an extensive methodology for developing learning objectives, and 48 detailed attachments; usually examples of how to document the process. The belief in “how” humans learn is the basis for how you design the instructional events within your chosen process. You may not be able to articulate your beliefs but it is a de facto situation. You project your belief into your design. Although you won’t find this officially written down anywhere, I submit the DOE model is based on the behavioral concepts of learning theory; explanation to come after we cover a few concepts from which to build on. What is a learning theory? A learning theory is a set of constructs linking observed change in performance with what is thought to bring about those changes. The processes of the behavioral models focus mostly on the stimulus, the response, and the association between the two. The learner is characterized as being reactive to conditions in the environment as opposed to taking an active role. Sounds like listening to a lecture to me! From my perspective, there are five major categories of learning theories each having a unique basis for the foundations of the theory. Behavioral, cognitive and constructivist theories are considered the big three. Social never really seemed to take off and brain-based is still relatively new. Constructivist learning is leading taking hold as the predominant theory in preparing teachers for public education. Each theory has it strengths and weaknesses in aiding learning outcomes (read achieving objectives). I recommend one be eclectic regarding theories and their corresponding instructional design models. I highly recommend you read the article by Ertmer & Newby, Behaviorism,Cognitivism, Constructivism: Comparing Critical Features from an InstructionalDesign Perspective from the Performance Improvement Quarterly 6(4), 1993. It will provide you with a functional basis for the big three and give you the key to various method and strategies (the processes) of those theories. Learning Aid: While you read the article, create a concept map of the different learning theories (If you not familiar with the subject of mapping check out Concept Maps at Wikipedia.). Challenge: Choose one of your courses. 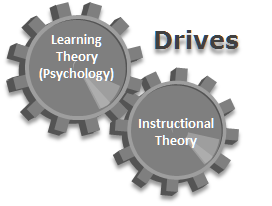 Based on the critical features in the Ertmer & Newby article, determine which learning theory (or theories) best represents the basis for the instructional process (methods) used in the course. Ask yourself: Now that you are aware of the other possibilities, would you choose the same one again? Why? Post a comment describing the results of your efforts. 1. Andrews Dee, H. & Goodson Ludwida, A. (1980). A comparative analysis of models of instructional Design. Journal of Instructional Development. Vol. 3 No 4. 2. Gagne, R., Briggs, L., Wager, W. (1992). Principles of instructional design (4th Ed.). Orlando, FL: HBJ. 3. Driscoll, M. P. (1994). Psychology of Learning for Instruction. Needham Heights, MA: Allyn and Bacon. Learning-Theories.com is a pretty good knowledge base of various learning theories. Learning Theories from A to Z. by David C. Leonard; available in the HAMMER Resource Library. A unique collection of terms listed alphabetically, with definitions and associated learning theory basis.